This Slow Cooker Lasagna is layered with beef, spinach, and cheese. It’s perfect for a quick, family-friendly weeknight dinner. 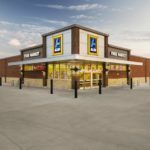 Thanks to the Ohio Beef Council for sponsoring this post! Every Sunday, I map out the week’s dinners. And since school started, there are always one or two Tricky Dinner Nights in the mix. 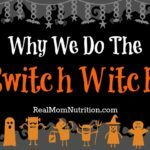 A Tricky Dinner Night is when there’s one or more activity (like a school event, practice, or lesson) that create the following dilemma: You don’t have enough time to prep and eat dinner before the evening activities. But you’re way too tired and hungry to even think about prepping dinner after the evening activities. And if you’re like me, you’re also way too frugal to be constantly grabbing take-out or ordering pizza. 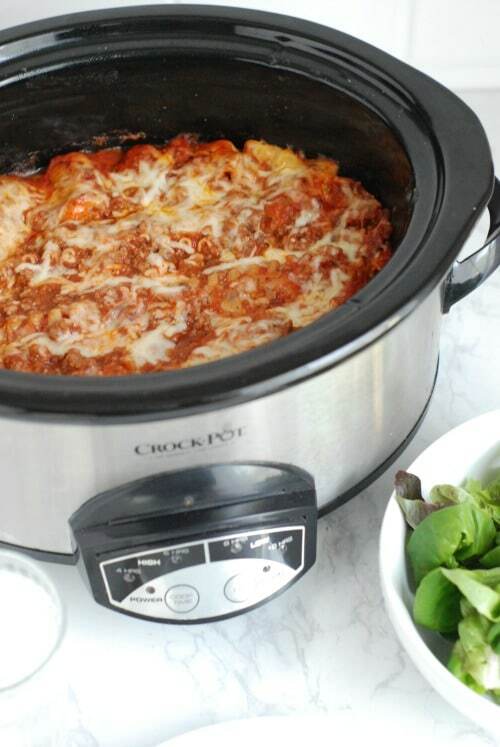 This Slow Cooker Lasagna recipe is tailor-made for Tricky Dinner Night. Pull it together, push the button on your slow cooker, and leave for soccer practice carpool duty or third grade curriculum night. Swing back home two hours later and dinner is ready. 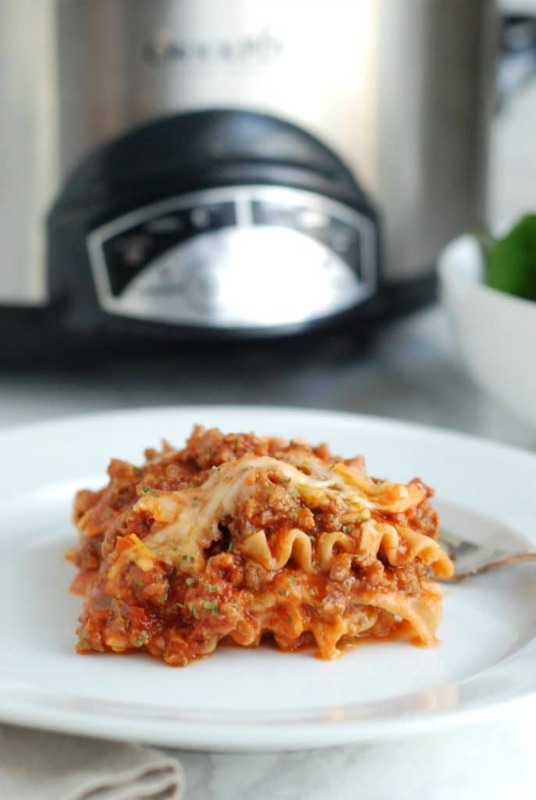 Have you tried slow cooker lasagna recipes in the past with mushy results? I’ve been there. Let it go too long and you’re doomed to overcooked pasta and scorched cheese. Though I saw plenty of recipes online that called for cooking lasagna for up to six hours, this recipe calls for cooking on LOW for just two. 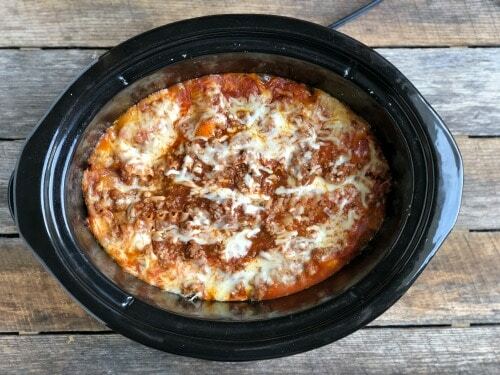 I tested this recipe using two different slow cookers, and both produced just-right results in two hours or less. Because slow cookers vary so much, I suggest checking it starting at 90 minutes to avoid overcooking it (and not hating me if it takes longer than two hours in yours!). If a fork slides pretty easily through the pasta with just a little give, it’s good to go. Keep in mind that this is a super-saucy, meaty lasagna. That’s how my family likes it. It’s not dripping with cheese and doesn’t have thick layers of ricotta between the noodles. But if your gang likes a lot of cheese, simply use more (see the Recipe Notes). I used lean ground beef in this recipe. Beef contains a lot of nutrients that kids need, like protein, highly-absorbable iron, and minerals like iron and zinc that are key in growth and brain development. We buy most of our beef from a local farm I visited during a tour with the Ohio Beef Council two years ago. I was so impressed with the family, their operation, and the obvious love and care they gave to their animals that I’ve been buying beef in bulk from their farm ever since. If you’re buying from a grocery store, be sure to choose ground beef with a bright cherry-red color. 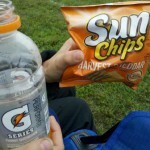 It should be firm to the touch and not have excess liquid in the package. It will keep in your refrigerator for 1-2 days or in the freezer for up to four months (though, truth be told, we keep our bulk beef longer and it tastes just fine). And keep in mind that although there’s a perception that beef in the grocery store comes from industrial “factory farms”, the truth is that 98 percent of beef farms are family-owned and operated. Case in point: The small farm where I buy my bulk beef supplies beef to our local grocery store too. 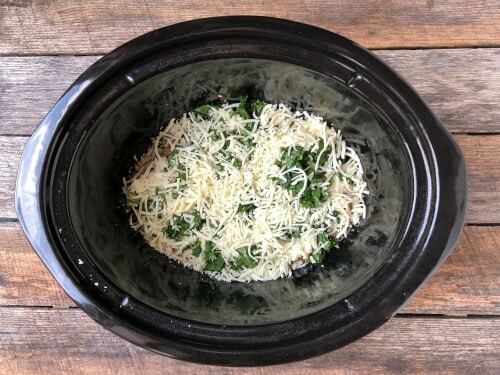 If you like a lot of cheese, use the entire container of ricotta and increase mozzarella to 1.5 cups in each layer. You can swap in white lasagna noodles if that’s what your family prefers. Be sure to let the lasagna rest for at least 15 minutes before serving so the pieces hold their shape during serving. 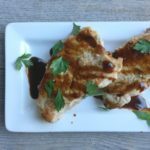 Pair this with pre-washed salad greens to save time (plus some crusty bread to scoop up all the saucy goodness left on the plate!). 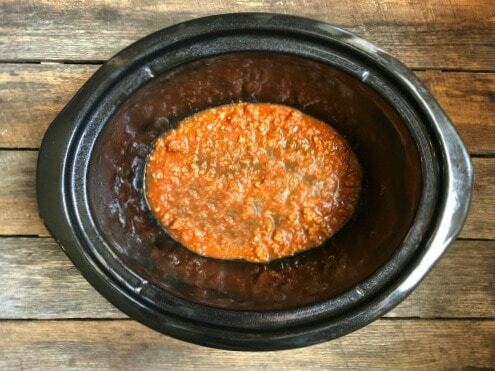 After coating the slow cooker insert with cooking spray, spread sauce on the bottom. Then place three noodles on top of the sauce, breaking noodles to fit. Spoon half of the ricotta mixture over noodles and spread gently with a spatula (this works best if you lightly hold the noodles while spreading the cheese). Sprinkle on half of the chopped spinach and one cup of mozzarella cheese. Top with 1 ½ cups of sauce mixture and repeat the layering. End with the final three noodles, sauce, and cheese. Bake for about two hours, or until done. 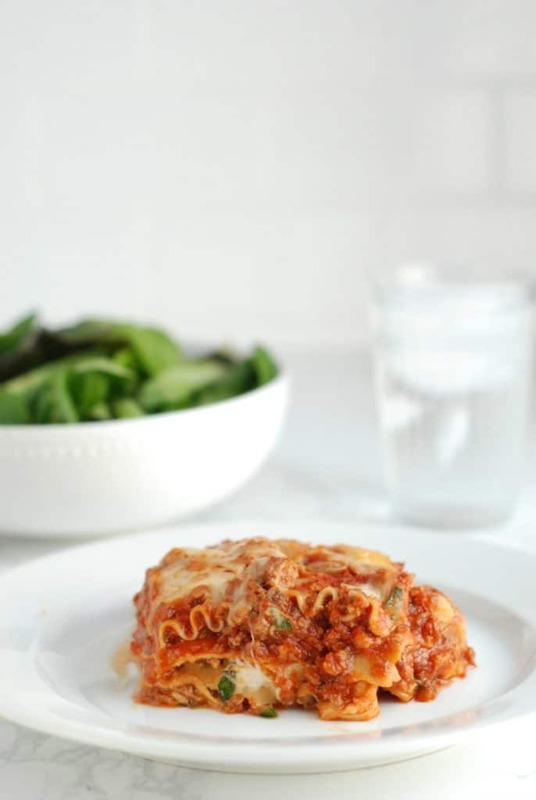 This Slow Cooker Lasagna is layered with beef, spinach, and cheese. It's perfect for a quick, family-friendly weeknight dinner. In a large saucepan, heat 1 teaspoon olive oil over medium heat. Add onion and beef and cook until beef is browned. Drain excess moisture if desired. Reduce heat to low. Add four cups of your favorite pasta sauce, 1 cup of water, Italian seasoning, garlic powder, and salt and simmer while you prepare other ingredients. Mix ricotta and Parmesan cheeses together and set aside. 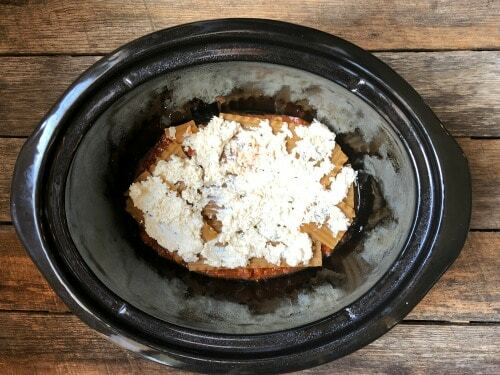 Coat the slow cooker insert with cooking spray. Spread one cup of sauce mixture in the bottom. Place three noodles on top of the sauce, breaking noodles to fit. Spoon half of the ricotta mixture over noodles and spread gently with a spatula (this works best if you lightly hold the noodles while spreading the cheese). Sprinkle on half of the chopped spinach and one cup of mozzarella cheese, and top with 1 ½ cups of sauce mixture. Repeat layering (three noodles, rest of ricotta, rest of spinach, one cup mozzarella, and 1 ½ cups sauce). Layer remaining three noodles on top of sauce. Pour rest of sauce mixture over top and sprinkle on remaining cup of mozzarella cheese (feel free to use more if you want a very cheesy top). 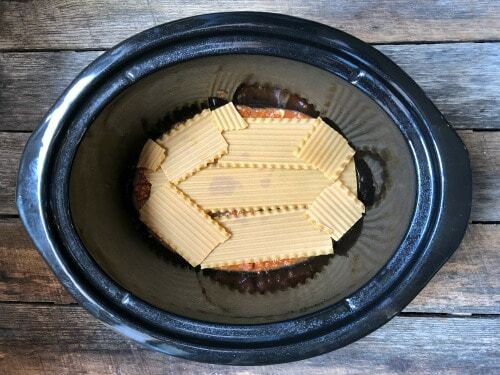 Place insert into slow cooker, cover with lid, and cook on LOW for two hours (in case you’ve got a hot slow cooker, check it at 90 minutes—if you can easily push a fork through the noodles, it’s done). Let lasagna rest for 15 minutes, then slice and serve. 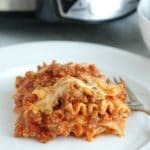 Can I use gluten free lasagna noodles in this recipe? Hi Kim–I have never used gluten-free noodles so I can’t be sure. If they tend to cook the same way as regular noodles when you bake lasagna in the oven, they *should* work here. If you try them, let me know how it turns out! It turned out great! BUT…it took an extra hour for the noodles to appropriately soften. I used Barilla gluten free lasagna noodles, and it was hard to put a fork through them after two hours. I turned the cooker to High to try to speed it up—since I had promised dinner would be ready—but I think 3 consistent hours on low would do it. (I can add another comment when I try it again). Wonderful–thank you for letting me know this. Hopefully this will help others who want to make it with gluten-free noodles as well. THANKS!! Wow, this was absolutely delicious. And easy. What vegetables would you suggest to make this vegetarian for a meatless Monday dinner? I haven’t tested it with veggies and no meat. The veggies will be cooking for a long time in the crock pot, so just something to keep in mind depending on how soft you like them to be in a lasagna. I’m assuming spinach would work in this recipe. But again, I haven’t tested it with veggies so I can’t say for sure! HAve you tried assembling this in the morning, then starting it in the afternoon? My husband is going to start it on a day I’m not home and he is not a cook! He might be able to handle assembling it if you think it would get too soggy.